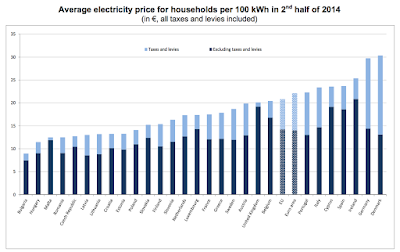 So remember the promise of CER-driven regulatory pricing of energy in Ireland? It went something like: we set high tariffs to encourage competition which will lower prices in the long run. The problem is: the long run never arrives, while prices remain set sky high, effectively extracting cash out households to sustain huge pay perks in the energy sector and massive white elephant investment schemes by dominant players in the markets. Our 'independent' regulation model means that state-owned quasi-monopolies are fleecing consumers at the rate of pricing that is the highest in the EU. 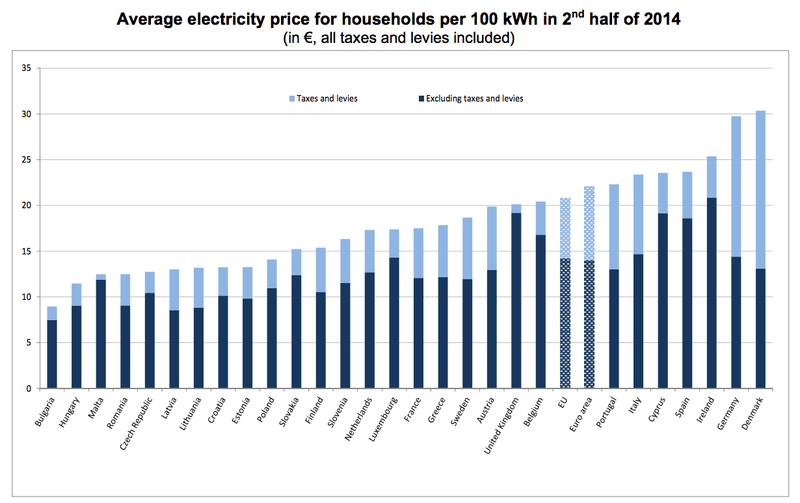 Lower incidence of energy-linked taxes and levies results in total end price to consumer being the third highest in the EU. But in terms of what producers collect - it is the highest. Say 'cheers' next time you pass by the surreal 'charging' stations that ESB erected around Dublin for imaginary electric cars. They are paid for by you and me. Say 'thanks' next time you hear that ESB average salaries are in excess of EUR80K/pa - they too are paid by you and me. That is some achievement of our 'independent' regulator. The same one who is now regulating Irish Water that promises, again in the proverbial long run, to deliver better services at better cost. Have faith and keep paying!